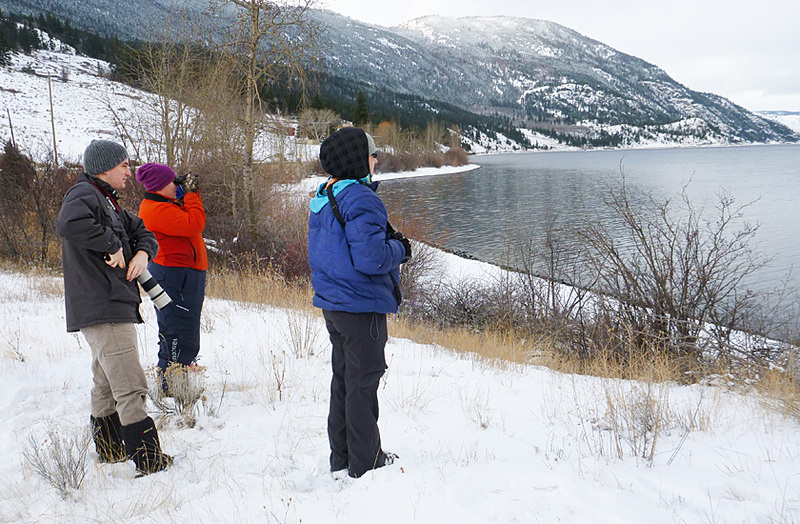 The Nicola Naturalists organized the Merritt Christmas Bird Count on 20 December 2015. This count has been running since 1995. Here are some of the highlights of our count day. 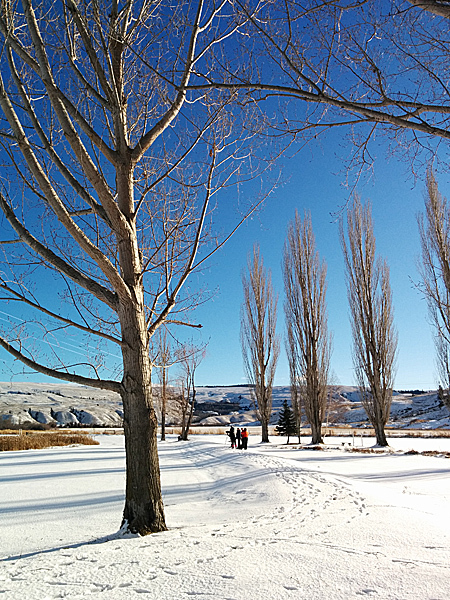 The excellent weather (mostly sunny, not too windy and around 0C) made it a very pleasant and rewarding day. 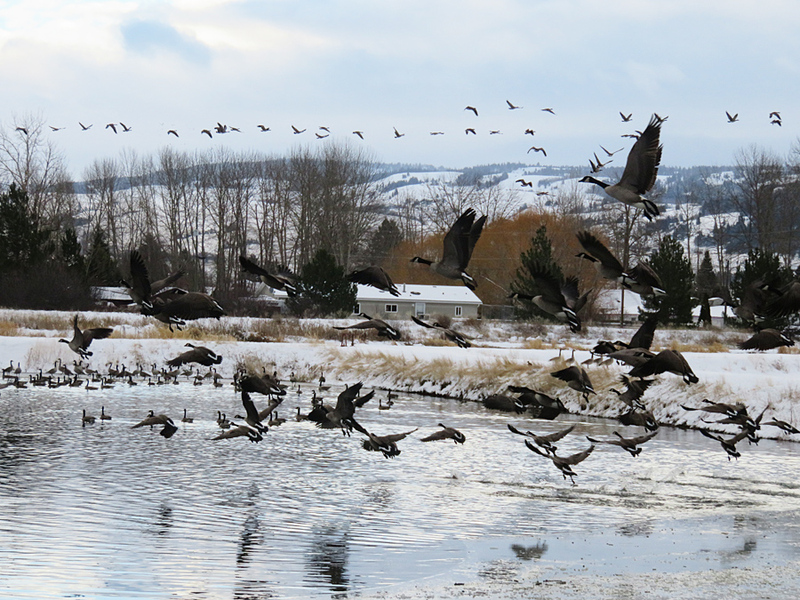 The total number of birds (3,074) was about average over the 17 years that the Merritt count has been done. 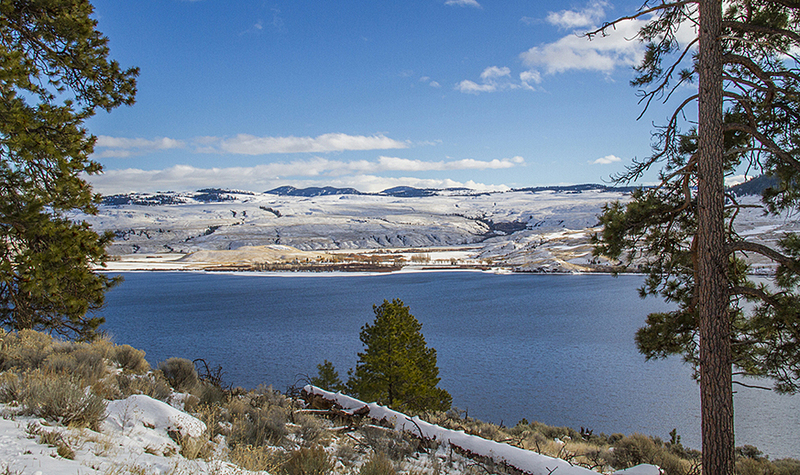 Two new species were added to the Merritt CBC list – Wood Duck (3 seen) and White-throated Sparrow (1). 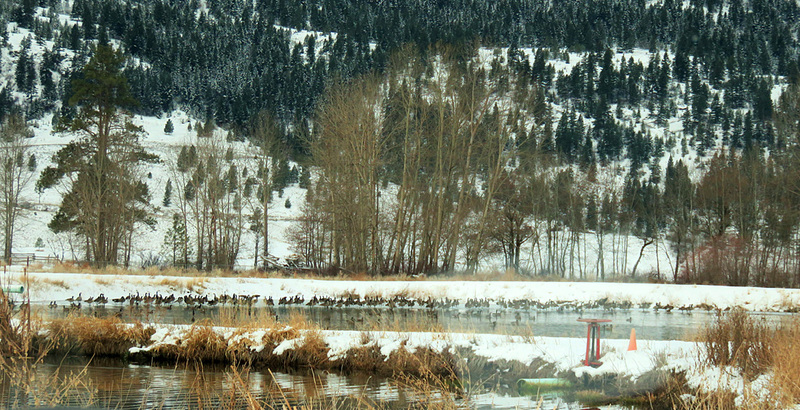 With most of Nicola Lake ice-free it was a good year for waterbirds. 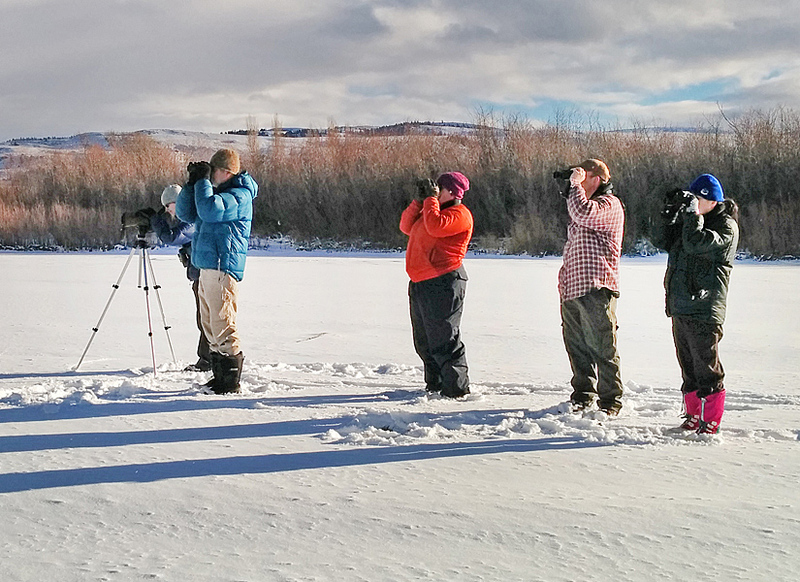 We got four species of grebes (Horned, Pied-billed, Red-necked and Western) and a couple of Common Loons. 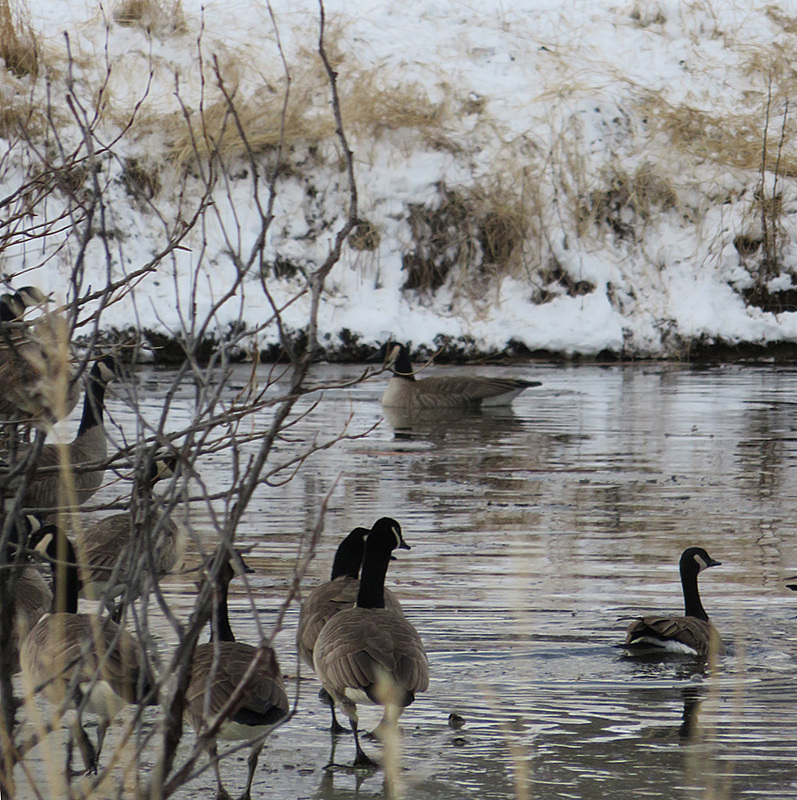 Canada Geese (305) and Mallards (506) were once again in abundance. A single Tundra Swan was found (only the second record for a Merritt CBC) and Trumpeter Swans were in record high numbers (57). Only one lonely American Coot was seen on the count day on Nicola Lake. Raptors were also plentiful, especially eagles attracted to several deer carcasses within the count circle and we ended up with record highs for both Bald Eagle (56) and Golden Eagle (4). 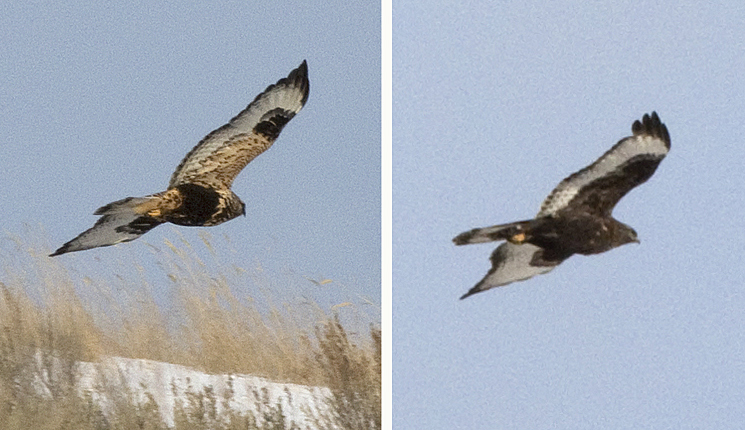 Among the eight Rough-legged Hawks we encountered was a stunning dark-phase bird – looking quite different to the pale-phase hawks we normally get. Not all our local species are doing well. The numbers of chickadees (2 species) and nuthatches (3 species) continue to be low, as they have been for the past few years. The loss of many big Ponderosa pines due to the mountain pine beetle seems to have caused a reduction in the numbers of Pygmy Nuthatch, which are often found in these trees. The dramatic increase of the introduced Eurasian Collared Dove has been a feature of our CBCs since they were first recorded in 2009. But the count this year (63) is well below the maximum (115 in 2012). Perhaps their numbers are stabilizing? At the same time we’ve seen a marked decrease in the native Mourning Dove. 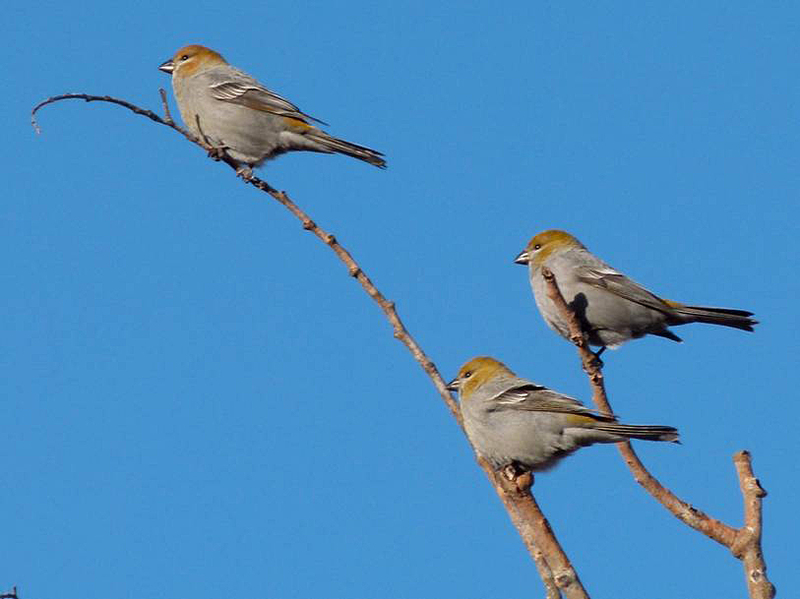 This year’s count (55) is well below the average over 16 years of 110 birds. 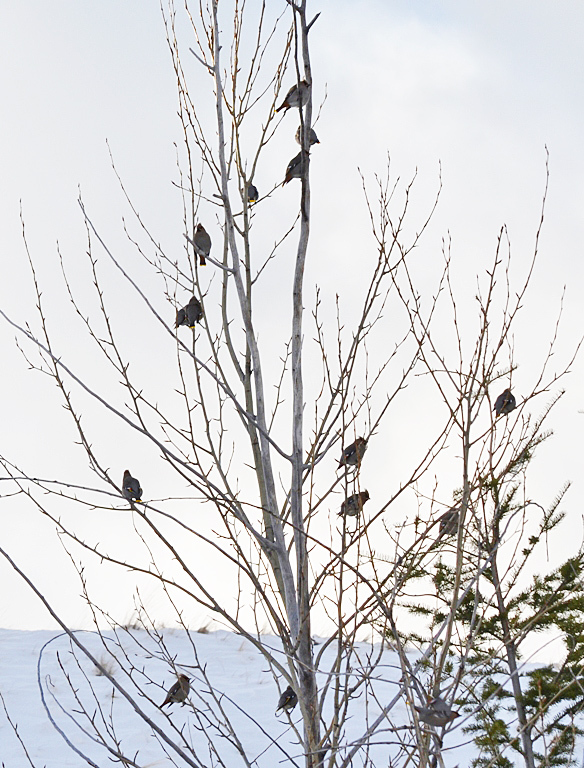 The closure of a popular feed-lot within the count circle is at least partly to blame for this decrease in Mourning Doves. A Marsh Wren was recorded – only the second time we’ve had this species on our count. 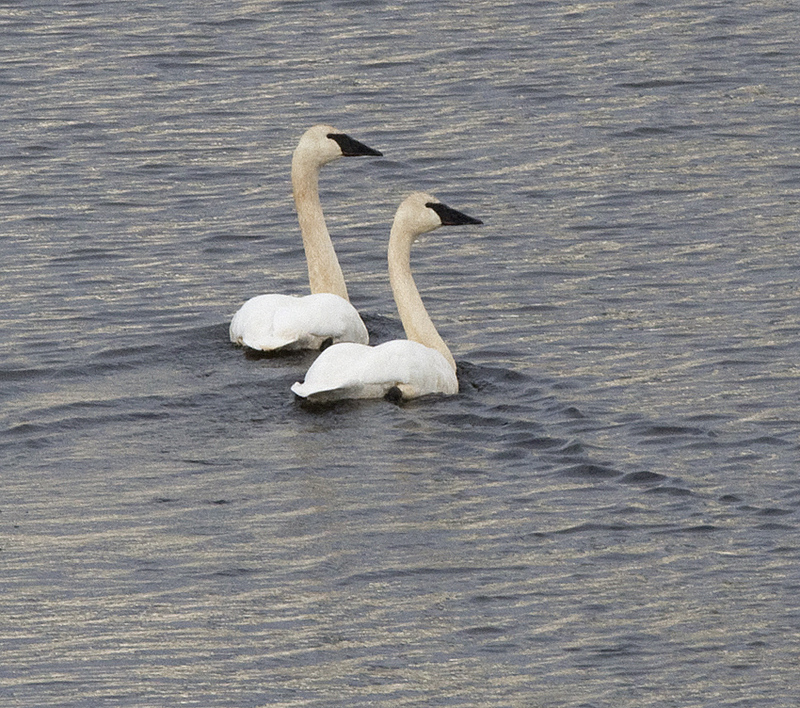 Several other species seen on count day are not usually found on the Merritt CBC. 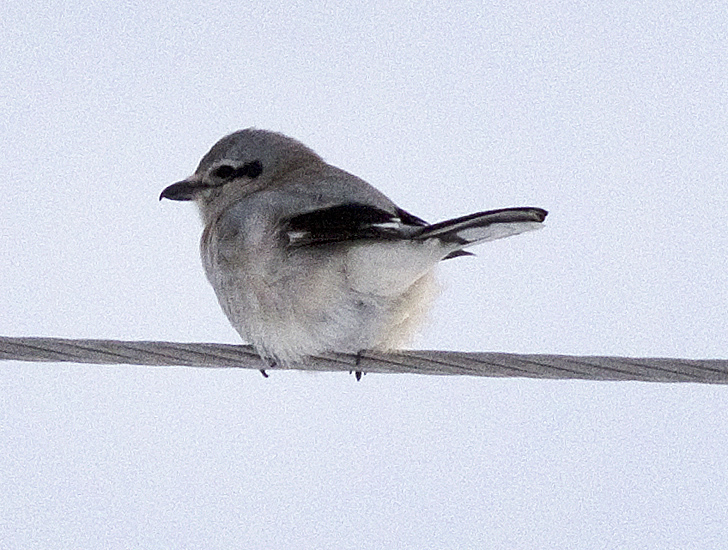 These include American Kestrel (2 seen), Ruffed Grouse (2), Great Horned Owl (1), Pacific (Winter) Wren (1), Gray Jay (3), White-crowned Sparrow (6), and Pine Grosbeak (48). A major highlight of our count day was the post-count dinner at the Coldwater Hotel. Our group has become too large for a pot-luck in someone’s house and the hotel did a great job to give us a good dinner and a cheery setting to exchange our count-day tales.